TVS files are created by TeamViewer which is a program that allows users to record a desktop session remotely. This TVS file contains videos recorded from a remote control of the desktop of another computer and is used for creating demonstration videos and recording session histories. It is quite disappointing that many players cannot open TVS videos because of the incompatibility. It is even a dream to play TVS files on portable devices or edit them in video editing tools. In order to successfully play TVS videos, we had better to convert TVS to AVI with TeamViewer. And then we can convert the output AVI to MP4, WMV, VOB,FLV, MOV, MKV,MP3 and other formats with a professional Converter. How to Convert TVS to AVI with TeamViewer? Step 1: Download TeamViewer to your compuer and launch it. Step 2: Click “Extras” -> “Play or convert recorded session…” to load your TVS files. Step 3: Click “Convert” button and there will pop “Convert Seesion Recording” window. The “Target File” in “Convert Seesion Recording” is defaulted as AVI format. Click “Convert” and your TVS files will be converted to AVI. Except for converting TVS to AVI with TeamViewer, you may also want to convert TVS files to other formats. If so, the following converter can do a great favor. But first of all, you need to follow the guide above to convert TVS to AVI. And then you can convert TVS converted AVI files to any format you want. Video Converter here is able to convert TVS converted AVI videos to poplar video formats such as convert AVI files converted from TVS to MP4, convert AVI files converted from TVS to WMV, FLV, VOB, MKV, HEVC/H.265, Xvid, DivX, H.264, 3GP, RM, F4V, Apple ProRes MOV, WebM, VP8, 720p, 1080p, 1080i HD, AVCHD, ProRes, Xvid, and more to easily play TVS files on media players like VLC, Apple TV, QuickTime, Windows Media Player, portable devices like PSP, PS3, Xbox 360, Creative Zen, Zune, etc. You can also edit TVS files in iMovie, Final Cut Pro, Windows Movie Maker, Sony Vegas, etc .with joy. The wonderful File Converter features to convert AVI files converted from TVS to MP3, M4A, FLAC, AAC, AC3, WAV, WMA, OGG, AIFF and other audio formats so TVS files can be played on iPod, iTunes, BlackBerry and more. TVS Converter can convert files in batch so that you can easily upload AVI files converted from TVS files to YouTube, Facebook and more or burn AVI files converted from TVS files to DVD for storing. TVS to AVI Converter also has some video editing functions like join different files into one, cut unwanted files, rotate files to 90/180/270 degrees, add/remove subtitles/watermark to/from videos, boost or decrease volumes, adjust bitrate/codec/channel and more. More importantly, TVS to MP4 Converter can convert among almost all the video and audio formats with fast speed, zero quality loss and brilliant user experience. One More Step Before Converting: Free download TVS Converter (For Windows, For Mac) to your computer. Run it after installing. Drag and drop videos to the software. Click “Profile” drop down button and choose your desired formats like MP4, AVI, MOV, or MP3. Hit the “Convert” button to finish TVS video converting without any trouble. If you prefer just play TVS files without any TVS decoding or converting, just import TVS videos to TeamViewer and it will play there. If you want to convert TVS file to other file formats and play the converted files, just click “Open Folder” button on TVS Video Converter to get the converted files. 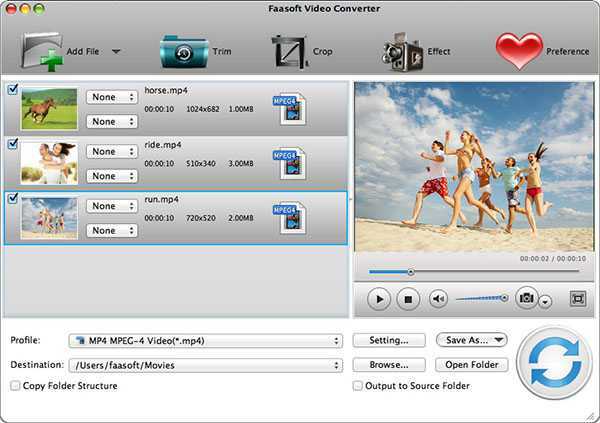 Drag and drop the converted files to video converter for enjoying joyfully. Of course, you can freely choose to play the converted files with your own players. Motivated by TVS Converter/Player powerful functions? Why not try it now? This entry was posted in Videos and tagged convert tvs to avi, convert tvs to mp4, tvs converter, tvs file converter, tvs file player, tvs player, tvs to avi, tvs to avi converter, tvs to mp4, tvs video converter. Bookmark the permalink.